Actuals: The physical or cash commodity, as opposed to the futures contract. Aggregation: The policy under which all futures positions owned or controlled by one trader or a group of traders are combined to determine reporting status and speculative compliance. Arbitrage: The simultaneous purchase and sale of the same or similar commodities in different markets in order to make a profit from the price discrepancy. Arbitration: The process of settling disputes between members or between members and customers. NFA's arbitration program provides a forum for resolving futures-related disputes. Associated Person (AP): An individual who solicits orders, customers or customer funds on behalf of a Futures Commission Merchant, an Introducing Broker, a Commodity Pool Operator or a Commodity Trading Advisor who is registered with the Commodity Futures Trading Commission. At-the-Money: An option whose strike price is equal – or approximately equal – to the current market price of the underlying futures contract. Backwardation: A market in which futures prices are progressively lower in the distant delivery months; the opposite of Contango. See also Inverted Market. Basis: The difference between the cash or spot price and the futures price of the same commodity. Bear Market (Bear/Bearish) : A market in which prices are in decline. A market participant who believes prices will move lower is called a bear. A news item is considered bearish if it is expected to produce lower prices. Bid: An offer to buy a commodity at a stated price; the opposite of offer. Board of Trade: See Contract Market. Broker: A person paid a fee or commission for acting as an agent in making contracts, sales or purchases. In futures trading, the term may refer to a floor broker -a person who actually executes orders on the trading floor of an exchange; or an Account Executive or Associated Person -who deals with customers in the offices of a Futures Commission Merchant or Introducing Broker; or a Futures Commission Merchant or Introducing Broker. Brokerage: A fee charged by a broker for execution of a transaction. Commonly referred to as a commission fee. Bucketing: Directly or indirectly taking the opposite side of a customer's order into the broker's own account or into an account in which the broker has an interest, without the open and competitive execution of the order on an exchange. Bull Market (Bull/Bullish): A market in which prices are on the rise. A participant in futures who believes prices will move higher is called a bull. A news item is considered bullish if it is expected to bring higher prices. Buying Hedge: Buying futures contracts to protect against the possible increase cost of commodities intended for future uses. Also see Long Hedge. Call Option: The buyer of a call option acquires the right but not the obligation to purchase a particular futures contract at a stated price on or before a particular date. Car(s): This is a colloquialism for futures contract(s). The term came into common use when a railroad car or hopper of a grain equaled the amount of a commodity in a futures contract. Carrying Broker: A member of a futures exchange, usually a clearinghouse member, through whom a customer or another broker chooses to clear all or some trades. Carrying Charges: The cost of storing a physical commodity, such as grain or metals, over a period of time. 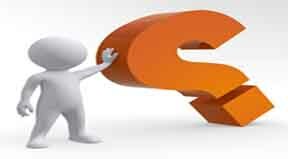 These costs include interest on the invested funds, insurance, storage and other incidental costs. Carryover: The part of the current supply of a commodity consisting of stocks from previous production season. Cash Commodity: The actual physical commodity as distinguished from the futures contract which is based on the physical commodity. Also known as Actuals. Cash Market: A place where people buy and sell the actual commodities. See also Forward Contract and Spot. Cash Settlement: A method of selling futures or options contracts where the seller pays the buyer the cash value of the commodity traded according to a procedure specified in the contract. Certified Stock: Stocks of a commodity that has been inspected and found to be of a deliverable quality against a futures contract. Charting: The use of graphs and charts in the technical analysis of futures markets to plot trends of price movements, volume, open interest or other statistical indicators of price movement. See also Technical Analysis. Churning: Excessive trading of a customer's account by a broker who controls the decision making on the account, to make more commissions while ignoring the best interest of his customer. Circuit Breaker: A system of trading halts and price limits on equities and derivatives markets designed to provide a cooling-off period during large, intraday market declines. Clearing: The procedure through which trades are checked for accuracy. Once the trades are validated the clearing house becomes the buyer to each seller of a futures contract, and a seller to each buyer. Clearing House: An agency or a fully charted separate corporation of a futures exchange through which financial settlement occurs. It is responsible for settling trading accounts, collecting and maintaining margin money, regulating delivery and reporting trade data. Clearing Member: A member of an exchange clearing house. All trades of a non-clearing member must be registered and eventually settled through a clearing member. Close (the): The period at the end of the trading session, officially designated by the exchange, where all transactions are considered made "at the close." Closing Range: The range of high and low prices at which futures transactions took place during the close of the market. Commission Merchant: One who makes a trade in his own name, for either another member of the exchange or for a non-member client, assuming all liabilities. Commodity: An entity of trade or commerce, services, or rights upon which contracts for future delivery may be traded. Commodity Exchange Act: The federal act that provides for federal regulation of futures trading. Commodity Futures Trading: The federal regulatory agency set up by the government to administer the Commodity Exchange Act which regulates trading on commodities exchanges. Commodity Pool: An enterprise in which funds contributed by a number of people are combined for the purpose of trading futures or options contracts. Commodity Pool Operator (CPO): An individual or organization which operates or solicits funds for a commodity pool. Generally registered with the Commodity Futures Trading Commission. Commodity Trading Advisor (CTA): A person or firm who, for a fee, directly or indirectly advises others as to the value of or advisability of buying or selling futures or options contracts. Confirmation Statement: A statement sent a Futures Commission Merchant to a customer when a futures or options position has been initiated. The statement shows the number of contracts bought or sold and the prices at which the contracts were bought or sold. Sometimes combined with a Purchase and Sale Statement. Complainant: The individual that files a complaint seeking reparations against another individual or firm. Consolidation: A pause during trading activity in which prices move sideways, setting the stage for the next move. During periods of consolidation traders assess their positions. Contango: A market situation in which prices in succeeding delivery months are progressively higher than in the nearest delivery months; the opposite of Backwardation. Contract: A term of reference describing a unit of trading for a commodity future or option. Contract Grades: These are standards or grades of commodities listed in the rules of the exchanges which must be complied with when delivering cash commodities against futures contracts. Contract Market: A board of trade designated by the Commodity Futures Commission to trade futures or options contracts on a particular commodity. It is commonly used to mean any exchange on which futures are traded. Contract Month: Month in which a futures contract may be fulfilled by taking or making delivery. Convergence: The tendency for prices of physical commodities and futures to approach one another, usually during delivery month. Corner: To secure control of a commodity so that its price could be manipulated. Correction: A price reaction against a prevailing trend of the market. Sometimes referred to as a retracement. Cover: To offset a previous futures transaction with an equal and opposite transaction. Short covering is a purchase of futures contracts to cover an earlier sale of an equal number of contracts of the same delivery month. ; liquidation is the sale of futures contracts to offset the obligation to take delivery on an equal number of futures contracts of the same delivery month purchased earlier. Cross-Hedge: Hedging a cash market risk in one futures contract by taking a position in a different, but price-related commodity. Current Delivery (Month): Also known as spot month. The futures contract will reach maturity and become deliverable during the current delivery month. Day Order: An order that expires automatically, unless executed, by the end of the trading session on the day it was entered. Day Trader: A speculator who will initiate and offset a position within a single trading session. Debit Balance: A condition where the trading losses in a customer's trading account exceed the amount of equity in the account. Deck: All of the unexpected orders in a floor broker's possession. Default: The failure to perform on a futures contract as required by the exchange rules, such as failure to meet a margin call. Deferred Delivery: The distant delivery months in which futures trading is taking place, as distinguished from the nearby futures delivery month. Delivery Points: The locations designated by the commodity exchanges at which stocks of a commodity represented by a futures contract may be delivered in fulfillment of the contract. Delivery Price: The official settlement price of the trading session during which the buyer of a futures contract receives through the clearing house a notice of the seller's intention to deliver at the delivery price. Delta Value: The expected change in an options price given a one-unit change in the price of the underlying futures contract. Derivative: A financial instrument, traded on or off the exchange, whose price is directly dependent upon the value of one or more underlying securities, equity indices, debt instruments, commodities, other derivative instruments or any agreed upon pricing index or arrangement. Disclosure Document: The document provided to and signed by customers which describes fees, risks, etc. Discount: 1) The amount a price would be reduced to purchase a commodity of lesser grade; 2) Sometimes used to describe the price difference between futures of different delivery months, as in the phrase "July is at a discount to May," indicating that the price of July futures contract is lower than that of May; 3) Applied to cash grain prices that are below the futures price. Discretionary Account: An arrangement by which the holder of the account gives written power of attorney to another, often a broker, to make buying and selling decisions without notification to the holder; often referred to as Managed Account. Dual Trading: This occurs when 1) a floor broker executes a customer's order, while at the same time trades for his own account or an account in which he has an interest; 2) Or a Futures Commission Merchant carries customer accounts and also trades, or permits its employees to trade, in accounts in which it has a proprietary interest, also on the same day. Elasticity: A characteristic of commodities which describes the interaction of supply, demand and price of a commodity. A commodity is said to be elastic in demand when a price change creates an increase or decrease in consumption; the supply of a commodity is said to be elastic when a change in price creates change in the production of the commodity. Electronic Trading Systems: Systems that allow participating exchanges to list their products for trading after the close of the exchange's open outcry trading hours. Equity: The dollar value of a futures trading account if all open positions were offset at the going market price. Exchange: An association of persons engaged in the business of buying and selling commodity futures and options. See Board of Trade and Contract Market. Exercise: Exercising a call means that you elect to purchase the underlying futures contract at the option strike price. Exercising a put means that you elect to sell the underlying futures contract at the option strike price. Expiration Date: Generally the last day on which an option may be exercised. Feed Ratios: The variable relationships of the cost of feeding animals to the market weight sales prices, expressed in ratios, such as the hog/corn ratio. These serve as indicators of the profit return or lack of it in feeding animals to make weight. First Notice Day: The first day on which notice of intent to deliver a commodity in fulfillment of an expiring futures contract can be given to the clearing house by a seller and assigned by the clearing house to a buyer. It varies from contract to contract. Floor Broker: An individual who executes orders on the trading floor of an exchange for any other person. Floor Traders: Members of an exchange who are personally present on the trading floor of exchanges to make trades for themselves. Sometimes called Locals. Forward (Cash) Contract: An agreement where a seller plans to deliver a cash commodity to a buyer sometime in the future. In contrast to futures contracts, the terms in a forward contract are not standardized. Forward contracts are not traded on federally designated exchanges. Fundamental Analysis: An approach to analysis of futures markets and commodity futures price trends which examines the underlying factors affecting the supply and demand of a commodity. Futures Commission Merchant (FCM): An individual or organization which solicits or accepts orders to buy or sell futures or options contracts and accepts money or other assets from customers in connection with such orders. Must be registered with the Commodity Futures Trading Commission. Futures Contract: A legally binding agreement to buy or sell a commodity or financial instrument at a later date. Futures contracts are standardized according to the quality, quantity and delivery time and location for each commodity. Futures Industry Association (FIA): The national trade association for Futures Commission Merchants. Gap: A trading day during which the daily price range is completely above or below the previous day's range causing a gap between them. Some traders will then look for a retracement to "fill the gap." Grantor: A person who sells an option and assumes the obligation but not the right to sell (in the case of a call) or buy (in the case of a put) the underlying futures contract at the exercise price. Hedging: The practice of offsetting the price risk inherent in any cash market position by taking the opposite position in the futures market. A hedger will use the market to protect his business from adverse price changes. Inelasticity: A characteristic that describes the interdependence of the supply, demand and price of a commodity. A commodity is inelastic when a price change does not create an increase or decrease in consumption; inelasticity exists when supply and demand are relatively unresponsive to changes in price. Initial Margin: Customer's funds required at the time a futures position is established, or an option sold, to assure performance of a customer's obligations. In the Money: An option having intrinsic value. A call is in the money if its strike price is below the current price of the underlying futures contract. A put is in the money if its strike price is above the current price of the underlying futures contract. Intrinsic Value: The absolute value of the in the money amount; that is, the amount that would be realized if an in the money option were exercised. Introducing Broker (IB): A firm or individual that solicits and accepts futures orders from customers but does not accept money, securities, or property from the customer. An IB must be registered with the Commodity Futures Trading Commission and must carry its accounts through a Futures Commission Merchant on a fully disclosed basis. Inverted Market: Futures market in which the nearer months are selling at premiums over the more distant months. Characteristically, this is a market in which supplies are currently in shortage. Invisible Supply: Uncounted stocks of a commodity in the hands of wholesalers, manufacturers, and producers which cannot be identified properly; the stocks are outside commercial channels but in theory available to the market. Last Trading Day: The last day on which trading may occur in a given futures or options contract. Limit : See Position Limit, Price Limit, Variable Limit, and Reporting Limit. Limit Move; A price that has advanced or declined the limit permitted during one trading session as fixed by the rules of a contract market. Limit Order: An order in which a customer sets a limit on either price and/or time of execution, as opposed to a market order which implies that the order should be filled at the most favorable price as soon as possible. Liquidation: To sell (or purchase) futures contracts on the same delivery month purchase (or sold) during an earlier transaction, or make (take) delivery of the cash commodity represented by the futures contract. Liquidity (Liquid Market): A intensively traded market where buying and selling can be accomplished easily due to the presence of many interested sellers and buyers. Loan Program: The main means of government agricultural price support operations. The government lends money to farmers at announced rates using the crops as collateral. Default on these loans is the primary method by which the government acquires stock of agricultural commodities. Long Hedge: Buying futures contracts to protect against possible increased prices of commodities. See also Hedging. Maintenance Margin: A set minimum margin (per outstanding futures contract) that a customer must maintain. See also Margin. Margin: An amount of money deposited by both buyers and sellers of futures contracts and by sellers of option contracts to ensure performance of the terms of the contract. Margin in futures is not a down payment, as in securities, but rather a performance bond. Margin Call: A call from the clearing house to a clearing member, or from a broker or firm to a customer, requiring additional money deposit to bring an account to a certain minimal level. Mark-to-Market: To debit or credit daily a margin account based on the close of that day's trading session. Market Order: An order to buy or sell a futures or options contract at whatever price is obtainable when the order reaches the trading floor. Maximum Price Fluctuation See Limit Move. Minimum Price Fluctuation: See Point or Tick. Momentum Indicator: A line that is plotted to represent the difference between today's price and the price of a given number of days ago. It is measured as the difference between today's price and the current value of a moving average. Often referred to as momentum oscillators. Moving Average: A mathematical procedure to smooth or eliminate the fluctuations in data. A moving average emphasizes the direction of a trend, confirms trend reversals, smoothes out variations that can confuse the interpretation of the market. National Association of Futures Trading Advisors (NAFTA): The national trade association of Commodity Pool Operators(CPOs), Commodity Trading Advisors (CTAs), and related industry participants. National Futures Association (NFA): The industry wide self-regulatory organization of futures trading. Net Asset Value: The value of each unit of a commodity pool. It is a calculation of assets minus liabilities plus or minus the value of open positions when marked to the market, divided by the number of units. Net Performance: An increase or decrease in net asset value exclusive of additions, withdrawals, and redemptions. Net Position: The difference between the open long (buy) and the open short (sell) contracts held by any one person in any one futures contract month, or in all months combined. Offer: An indication of willingness to sell a futures contract at a given price; the opposite of Bid. Offset: To take a second futures or options position opposite to the initial or opening position. See also Liquidate. Omnibus Account : An account carried by one Futures Commission Merchant (FCM) with another FCM in which the transactions of two or more persons are combined and carried in the name of the originating FCM rather than of the individual customers. The identity of the individual accounts is not disclosed. Open (the): The period at the beginning of the trading session officially designated by the exchange during which all transactions are considered made "at the open." Open Interest: The sum of all long and short futures contracts in one delivery month or one market, that have been entered into and not liquidated yet by an offsetting transaction, or fulfilled by delivery. Open Outcry: Method of public auction used for making bids and offers in the trading pits of the commodity exchanges. Open Trade Equity: The unrealized gain or loss on open positions. Option Contract: A unilateral contract which gives the buyer the right, but not the obligation, to buy or sell a specified quantity of a commodity or a futures contract at a specific price, within a specified period of time, regardless of the market price of the commodity or futures contract. The seller of the option has the obligation to sell the commodity or futures contract or buy it from the option buyer at the exercise price if the option is exercised. See also Call Option and Put Option. Option Premium: The price a buyer pays for an option. Premiums are arrived at through open competition between buyers and sellers on the trading floor of the exchange. Out of the Money: A call option with a strike price higher or a put option with a strike price lower than the current market value of the underlying asset. Overbought: A technical opinion that the market price has risen too steeply and too rapidly in relation to underlying fundamental factors. Oversold: A technical opinion that the market price has declined too steeply or too rapidly in relation to underlying fundamental factors. Par: A particular price 100 % of principle value. Parity: A theoretically equal relationship between farm product prices and all other prices. Pit: The area on the trading floor of some exchanges where trading of futures and options contracts is conducted by open outcry. Point: The minimum fluctuation in futures prices or options premiums. Position Limit: The maximum number of futures contracts that one can hold in certain regulated commodities, as determined by the Commodity Futures Trading Commission. Position Trader: A trader who either buys or sells contracts and holds them for an extended period, as distinguished from a day trader, who will normally initiate and liquidate a futures position during the course of a single trading day. Premium: Refers to 1) the amount a price would need to be increased in order to purchase a better quality commodity; or 2) a future delivery month selling at a higher price than another; or 3) cash prices that are above the futures prices. Price Discovery: The process of determining the price levels of a commodity based on supply and demand factors. Price Limit: The maximum price advance or decline from the previous day's settlement permitted for a futures contract in one trading session. Primary Markets: The principle markets for the purchase and sale of a cash commodity. Principal: Refers to 1) a sole proprietor, general partner, officer or director, or person of similar status, who has the power of influence over the activities of the entity; or 2) any holder or any beneficial owner of 10% or more of the outstanding shares of any class of stock of the entity; or 3) any person who has contributed 10% or more of the capital of the entity. Public Elevators: Grain storage facilities, licensed and regulated by state and federal agencies, in which space is rented out. Some are also approved by the commodity exchanges for delivery of commodities against futures contracts. Purchase and Sale Statement (P&S): A statement sent by a Futures Commission Merchant to a customer when a futures or options position has been liquidated or offset. The statement contains all of the transaction information. Put (Option): An option that gives the option buyer the right but not the obligation to sell the underlying futures contract at a particular price on or before a particular date. Pyramiding: The use of unrealized profits on existing futures positions as margins to increase the size of the position, normally in successively smaller increments. For instance, the use of profits on the purchase of five futures contracts as margin to purchase an additional four contracts, whose profits will in turn be used to margin an additional three contracts. Quotations: The actual price or the bid or ask price of either cash commodities or futures or options contracts at a particular time. Range: The difference between the high and low price of a commodity during a given trading session, week, month, year, etc. Reaction: A short term countertrend movement of prices. Recovery: An upward movement of prices following a decline. Registered Commodity Representative (RCR): Seen Broker. Reparations: Compensation payable to a wronged party in a futures or options transaction. Reparations Award: The monetary damages a respondent may be ordered to pay a complainant. Reporting Limit: Sizes of positions set by the exchange and/or the Commodity Futures Trading Commission at or above which commodity traders must make daily reports to the exchange in terms of all the details of the transaction. Resistance: The price level where a trend stalls. It is the opposite of a support level. Prices must build momentum to move pass a resistance. Respondents: The individual or firm against which a complaint has been filed and a reparations award is being sought. Retracement: A price movement in the opposite direction of the prevailing trend. See also Correction. Round Lot: A quantity of a commodity equal in size to the corresponding futures contract for the commodity, as distinguished from a job lot, which may be larger or smaller than the contract. Rules (NFA): The standards and requirements to which participants who are required to be Members of National Futures Association must subscribe and conform. Sample Grade: The lowest quality acceptable of a commodity for delivery in satisfaction of futures contracts. See Contract Grades. Segregated Account; A special account used to hold and separate customers' assets from those of the broker of firm. Settlement Price: The daily price at which the clearing house settles all accounts between clearing members for each contract. This is the closing price, which is used as the official price in determining net gains or losses at the close of each trading session. Short Hedge: Selling futures contracts to protect against possible declining prices of commodities. See also Hedging. Speculator: One who tries to profit from buying and selling futures and options contracts by anticipating future price direction. Spread: The simultaneous buying and selling of two related markets in the expectation that a profit will be made when the position is offset. Stop Loss: A risk management technique used to close out a losing position at a given point. See Stop Order. Stop Order: An order that becomes a market order when a particular price level is reached. A sell stop is placed below the market, a buy stop is placed above the market. Sometimes referred to as a Stop Loss Order. Strike Price: The price at which the buyer of a call (put) option may choose to exercise his right to purchase (sell) the underlying futures contract. Also called Exercise Price. Support" A price level at which a declining market has stopped falling. It is the opposite of a resistance price range. Once this level is reached, the market trades sideways for a period of time. Technical Analysis: An approach to trading that is based on the assessment and examination of patterns of price change, rates of change and changes in volume of trading, open interest and other statistical indicators. See data is usually charted. Time Value: Any amount where the option premium exceeds the option's intrinsic value. Traders: Generally people who trade for their own account or employees or institutions who trade for their employer's account. Uncovered Option: A short call or put option position which is not covered by the purchase or sale of the underlying futures contract or physical commodity. Underlying Futures Contract: The specific futures contract that the option conveys the right to buy (in case of a call) or sell (in case of a put). Variable Limit: A price system that allows for larger than normal allowable price movements under certain conditions. In periods of extreme volatility, some exchanges permit trading at price levels that exceed regular daily limits. Variation Margin Call: Additional margin deposited by clearing member firm to an exchange clearing house during periods of great market volatility or in the case of high-risk accounts. Volatility: A measurement of the change in price over a given time frame. Volume of Trade: Number of contracts traded over a specified period of time.